Matt Adams - Superheroes, Sci-Fi, and a Touch of the Fantastic: "And the World Stopped" now available! 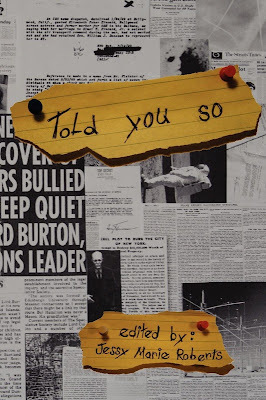 The Told You So anthology is now available through Pill Hill Press. The anthology is a collection of conspiracy-themed stories and includes my shortie "And the World Stopped." The book will soon be available through Amazon.com and other retailers. When it hits those other outlets, I'll let you know.